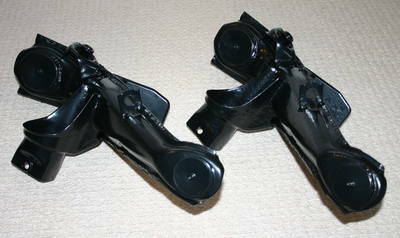 More original parts fresh from blasting & powder coating. Modified VW T1 & Porsche IRS A-arms. Improved pivot points, relocated brake pipe mounts, strengthened shock mount. 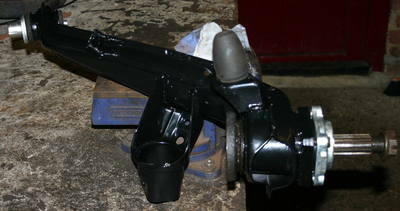 Ready for new bump stops, bearings & seals.